MBA programs begin and end with interviews. From admissions to recruiting, there are countless interviews in between. 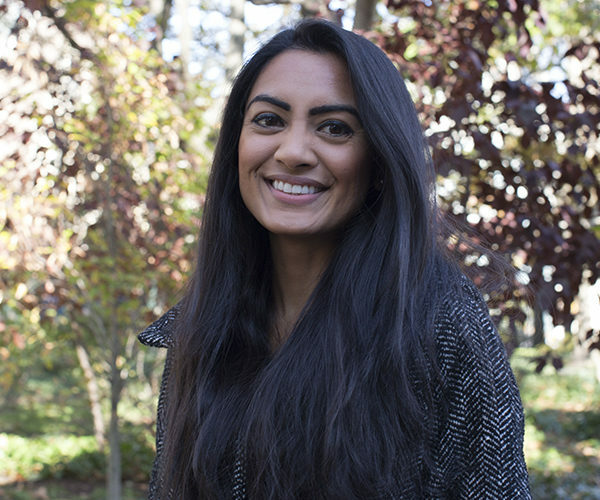 As an InSITE Philadelphia fellow, Swati Patel, WG’18, recently experienced sitting at the other side of the table when she conducted interviews for the next class of InSITE Fellows. Here’s what she learned. Over the last few weeks, the InSITE Philadelphia board was engrossed in a deep review of countless applications, interviews, and subsequent deliberations to select our next class of Fellows. Along the way, we realized how significantly the tables have turned for us. As the multiple, eight-hour days of back-to-back interviews progressed, we recognized how stellar the talent was. From launching investment funds to leading small businesses through structural and operational challenges, their accomplishments were humbling. For the first time, we recognized the challenges that larger institutions — academic or corporate — face when selecting someone for a given opportunity. How do you choose? This question plagued us (day and night). As a board, we discussed and debated for many, many hours. Having been on the other side last year, we remembered the emotional rollercoaster as we awaited our own application decisions. You hope for the best but prepare for the worst. You hope you don’t see the infamous words: “We regret to inform you…” and frankly, the rest becomes a blur as the floodgates of “what if” questions and a sinking feeling of disappointment take over. To think that our choices would result in such outcomes for a subset of candidates was gut-wrenching. Part of leadership is making tough decisions after conducting the necessary due diligence. The best interviews are usually those in which the conversation naturally flows between the interviewee and interviewer. Fortunately, Wharton offers students an abundance of opportunities to engage in the interview process. Whether through communication classes or club leadership positions, there are multiple avenues for you to refine and extend your narrative. As the timeless adage goes, practice makes perfect! Originally posted on LinkedIn. Follow Swati Patel here. The InSITE Fellowship is a leadership development program for graduate students at top universities. InSITE Fellows at 7 chapters across the nation engage in semester-long consulting projects for emerging companies, in addition to chapter-specific curriculum and networking events.